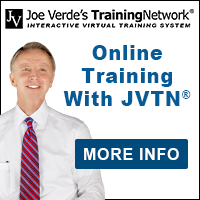 The holidays and gift giving can be great closing tools to help you deliver more units this month. Put a new car, truck or whatever you sell on the showroom floor with a big red bow on it, and start talking about “Christmas presents”… NOW! People love giving presents, especially to themselves. I discovered a long time ago that just the thought of turning this purchase into ‘the best present ever’ can be all it takes to turn some unsure thinkers into buyers today. Start talking about cars as presents – really big ones! December was always one of my best months, because I focused on the holiday season and how much fun it is to get such a great present for the whole family. If you’ve built rapport, it doesn’t take many questions to get people to start thinking and talking about that car as a great big gift under the tree this year. Even better, once their thought changes to a reward / present, hardly anyone balks once they’re inside, just because the payment is a few dollars more than they meant to spend! 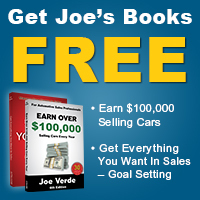 Sell more cars with Joe Verde’s sales book, “Earn Over $100,000 Selling Cars – Every Year” for a free PDF or to order a free soft cover book.